Our investment offering has been substantially improved in many respects at the start of 2019. All our lifecycles have been renewed and made more sustainable. The number of lifecycles has been increased. Our investment fees have also been reduced. The new investment offering applies with immediate effect for new customers and customers renewing their contracts. 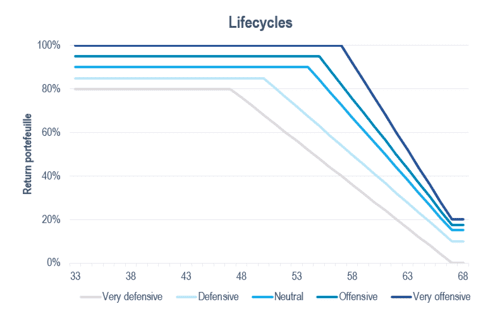 Employers choose their standard lifecycle from 3 risk profiles and investment styles. Members can always deviate from this, and can choose from 5 risk profiles and 3 investment styles. Members can now also choose the profiles Very Defensive and Very Offensive. This means the investment profile will more closely match the member’s individual situation and age. The risk profile of continuing to invest after retirement has been expanded to include the Very Offensive profile. 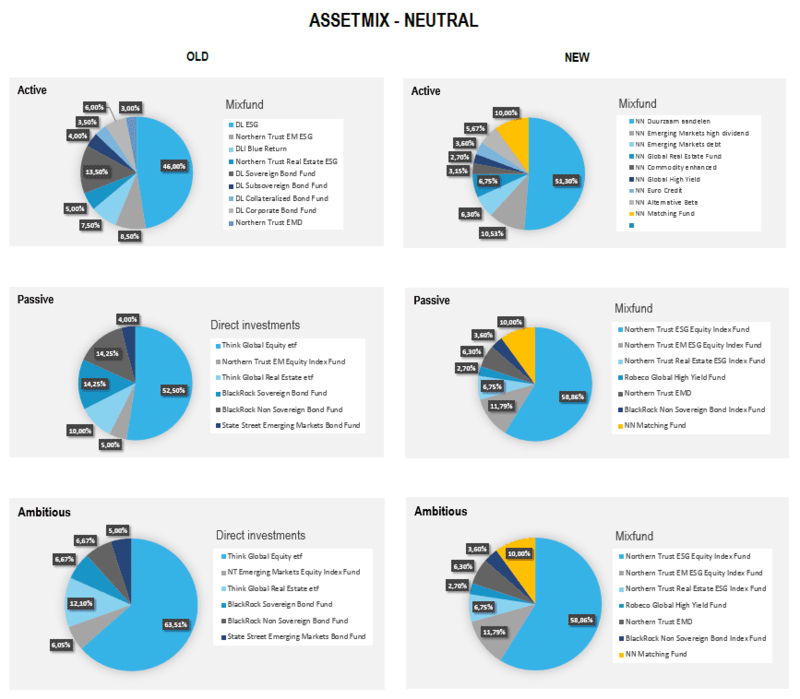 The lifecycles have been given a slightly more offensive investment mix. This is due to optimisation that provides for a better risk-return ratio. Various changes have been made to the investment funds used. The aim: achieving further improvement in quality, realising better results on sustainability and securing cost benefits for our members. Please do not hesitate to contact us. You can always contact your account manager.